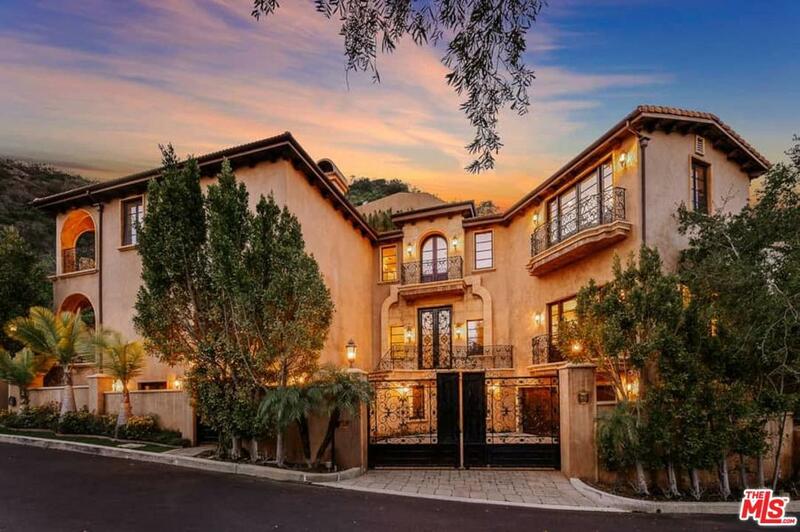 Gated Beverly Hills villa located on a quiet cul-de-sac street. 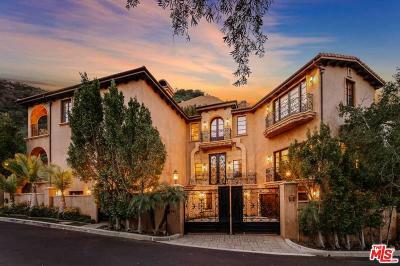 Gracious and elegant, this 5 bedroom 7 bath estate boasts a grand entry with beautiful curved staircase. The interior space showcases incredible volume & scale, high ceilings, & mahogany hardwood floors throughout. The main level consists of formal living and dining, a gourmet chef's kitchen with a generous center island, walk-in pantry, breakfast room, & spacious family room with fireplace, & French doors leading to a resort style pool & spa. On the second floor are 3 ensuite bedrooms along with an impressive master suite featuring a fireplace, romantic balcony, and a sunny bathroom with spa tub, separate shower, vanity, and patio. The lower level is complete with a 5th ensuite bedroom, and media Room; perfect for entertaining. Beyond the pool, the hillside is a paradise of privacy with mountain/city views, terraced patios, fountains, and private courtyard's for lounging and dining. 2 car garage and ample parking.